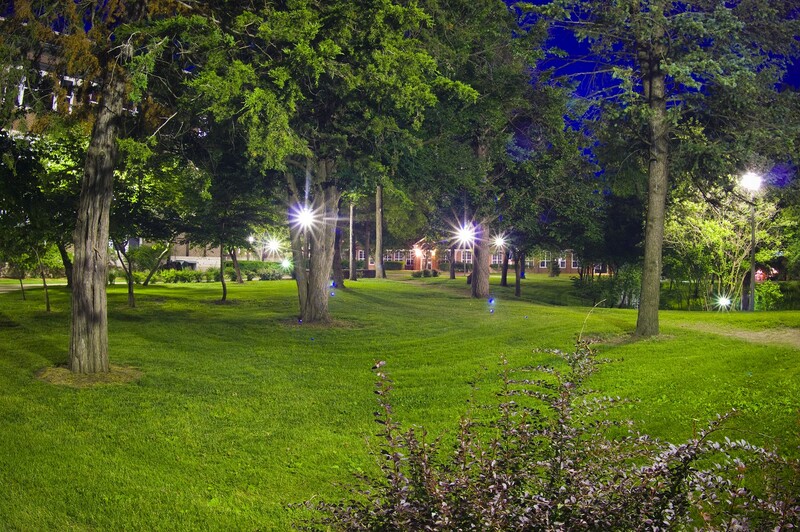 At Truman State University we recognize the careful balance that must be struck between creating a campus that is both appealing and environmentally sustainable. Therefore, we maintain the grounds in ways that allow them to reach their potential with little artificial involvement. 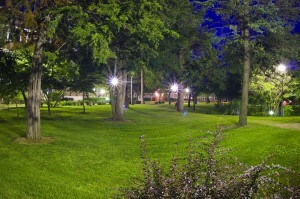 167 acres of Truman’s campus are developed grounds under IPM, or Integrated Pest Management. That means that at Truman we take care to only use herbicides and pesticides when necessary and with caution. To back up this strategy, we work heavily on prevention, with techniques including aerification, overseeding, fertilization, weed barriers and mulch. Pesticides are used sparingly and only on infected athletic fields. Truman State’s University Farm lies adjacent to the Missouri Conservation Department’s Big Creek Reserve, an area with strong biodiversity that students often visit for various science classes. In the past, studies have been done on the on-site herpetology and parasitic populations. Additionally, we plant many native Missouri species to honor and support the area’s heritage. Click here to view our Tree Page, which gives more detail on what our university is doing to support trees on campus.